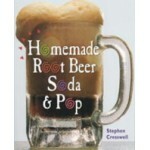 Making soda at home is as easy as heating up water and sugar and then adding the soda extract. The soda will then need to be carbonated, this can be done naturally or artificially. 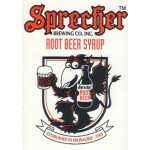 Brewers Best Birch Beer Soda Extract. Each 2 oz extract bottle will make 4 gallons of fine.. 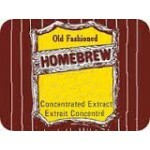 Brewers Best Root Beer Soda Extract. Each 2 oz extract bottle will make 4 gallons of fine soda .. 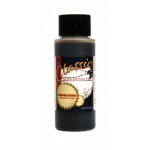 Brewers Best Sarsaparilla Soda Extract. Each 2 oz extract bottle will make 4 gallons of fine so..
Lots of good recipes and tips for making your own from scratch and from concentrates. 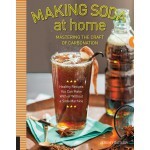 ..
Making Soda at Home by Jeremy Butler. 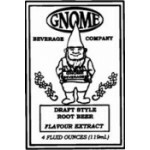 An icy cold, carbonated beverage is just the ..
Gnome Draft Root Beer soda extract has a rich, creamy flavor, perfect for root beer floats.These ext..
Gnome Crystal Clear Vanilla Cream soda extract has a delicious, sharp vanilla flavor. &nbs..
Gnome Old Fashioned Vanilla Cream Soda Extract has a rich and delicious, creamy vanil..
Gnome Spicy Ginger Beer Soda Extract has a delicious sharp Ginger flavor. These extracts make s..
Gnome Autumn Red Birch Beer Soda Extract has a distinct, sharp, wintergreen flavor. These.. The lucky ones that have a CO2 kegging system will have a great time with this easy and delicio..
Rainbow brand Cherry Soda Extract. Each extract bottle will make 4 gallons of fine soda pop. J..
Rainbow brand Cola Soda Extract. Each extract bottle will make 4 gallons of fine soda pop. Just..
Rainbow brand Ginger Beer Soda Extract. Each extract bottle will make 4 gallons of fine soda po..
500 ml Amber PET Plastic Bottles. 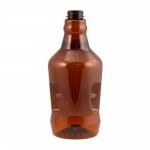 Great to use for beer bottles when you want to take your bee..
Amber PET plastic growler. Ideal for taking your beer on the go without the breakability of glass. P..